Sips By The Sea from 4 p.m. - 9 p.m. Enjoy our variety of delicious starters alongside our selection of cocktails, wine, sparkling rose and beer for a well-deserved end to another busy day. 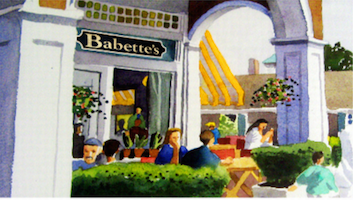 Get to know Orange County restaurant Babette's - Newport Beach. Discover events, reviews, news, and get directions compliments of Great Taste Magazine.